Comment: Ex. Charlie Key collection. Classic, single 6 cm Schorl crystal from the classic locality of Erongo. The luster, of course, is superb, and the crystal is actually doubly-terminated (one end is partially contacted). 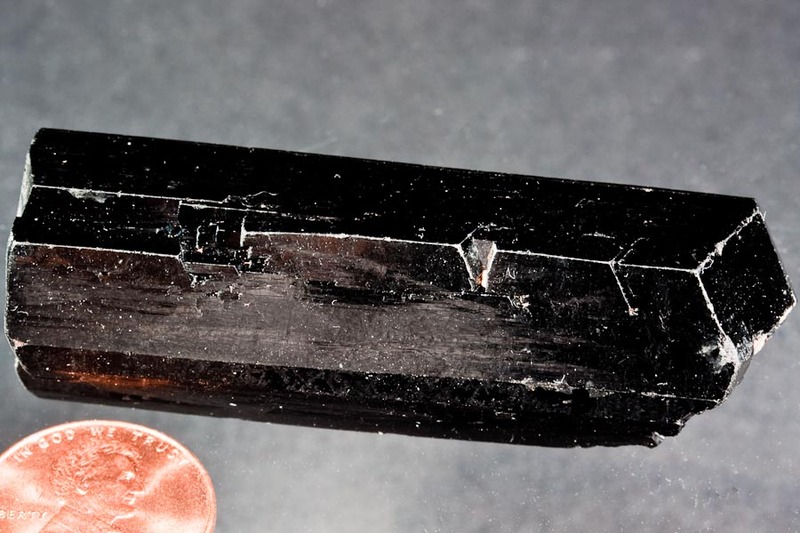 This is a great example of the fact that the two terminations of a Tourmaline are not the same and it is a textbook single crystal.